Inlet Point consists of two bedroom, one, one-and-a-half or two bath condos. All units feature a living/dining/kitchen combination open floor plan with an electric kitchen including a dishwasher, central heating and air conditioning and wall-to-wall carpeting. Common area includes a swimming pool, code-gated security, paved parking and on-site coin-operated laundry. 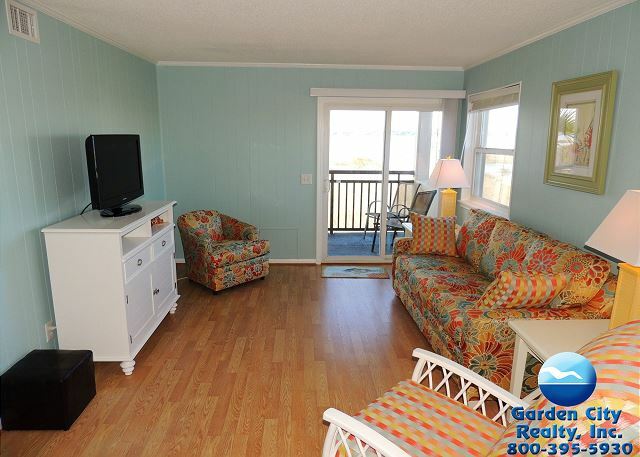 Direct access to the ocean and a fishing pier with stationary and floating boat dock is provided. (Boat docking is permitted ONLY during daylight.) NO PETS. Below is a list of properties we offer for rent in Inlet Pointe. Properties displaying "BOOK NOW!" are available to book based on your specific search parameters. Properties that do not display "BOOK NOW!" do NOT match your search parameters.